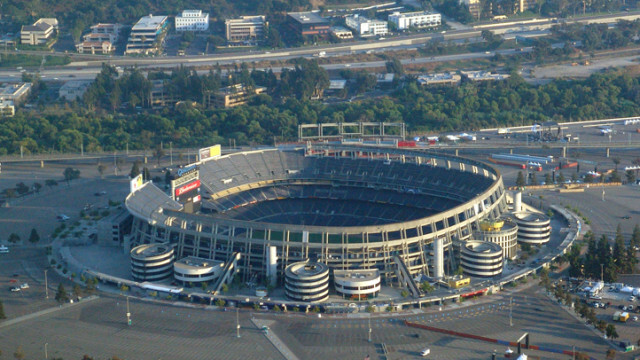 The City Council will be asked Tuesday to rename what had been Qualcomm Stadium to SDCCU Stadium, with San Diego County Credit Union bidding $500,000 for the naming rights, according to documents made available Thursday. The credit union recently took over as the primary sponsor of the Holiday Bowl college football game that’s held in the stadium. The agreement, if approved, would run to the end of next year. While stadium naming rights typically run into the millions of dollars, city officials didn’t anticipate receiving that kind of money because of the short term of the deal. Municipal coffers would net $375,000 from the proposed agreement, according to a staff report. In its proposal, SDCCU said it would work to boost attendance at stadium events. The company has a history of heavily promoting events it sponsors. Now that the Chargers are playing in Los Angeles County, city officials envision closing the aging, money-losing stadium after the 2018 college season. San Diego State University officials are pushing for an extension in order to build a new home for the Aztecs. The city contracted with Fox Sports College Properties to find an interested party for the naming rights. SDCCU was one of four bidders. The others were Gemini Sports Group, a Phoenix company that handles sponsorships and naming rights; Mitek, a San Diego-based mobile technology firm; and Traction Video, a San Diego video production firm.